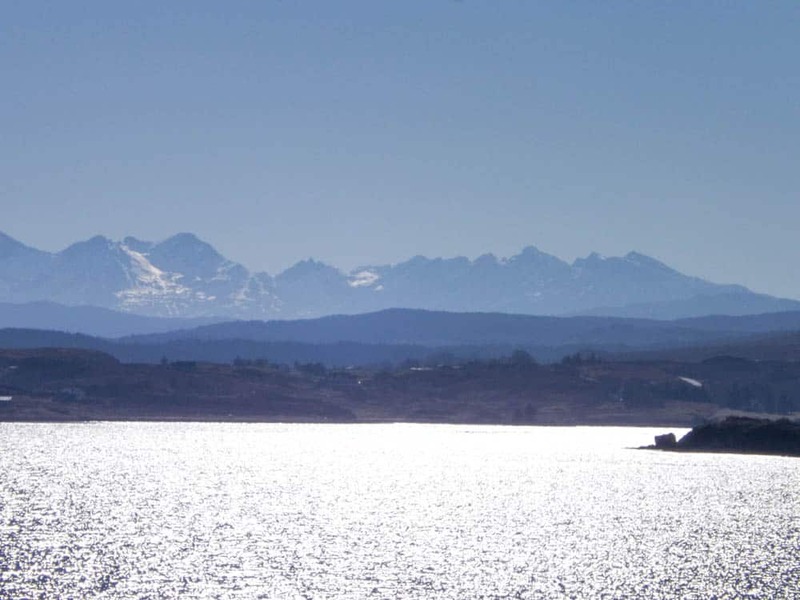 Crionach is an exceptional and unique four bedroom property complete with a luxury one bedroom self-catering cottage set in a spectacular and private setting on the edge of Loch Snizort from where panoramic views are afforded towards the Cuillin mountain range and the Outer Hebrides. Crionach is an impressive four bedroom architect designed property which was completed in 2002 and is finished to a very high standard. 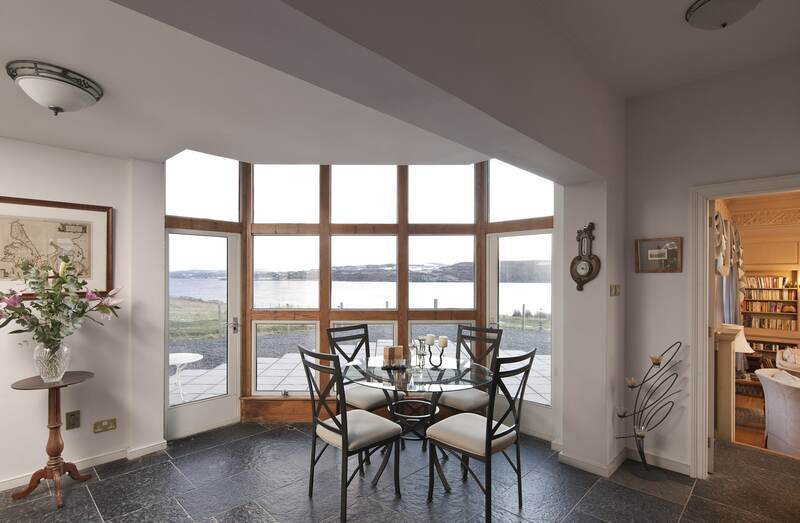 The bright and spacious accommodation has been designed and positioned to maximise the stunning views that surround with almost every window affording views over Loch Snizort. 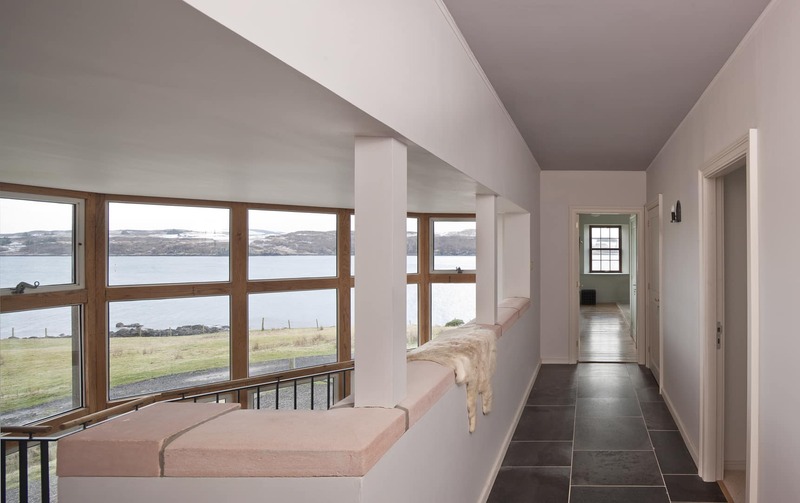 Attention to detail is evident throughout this property with Caithness slate and hardwood flooring, underfloor heating on the ground floor and quality fittings and finishings throughout. 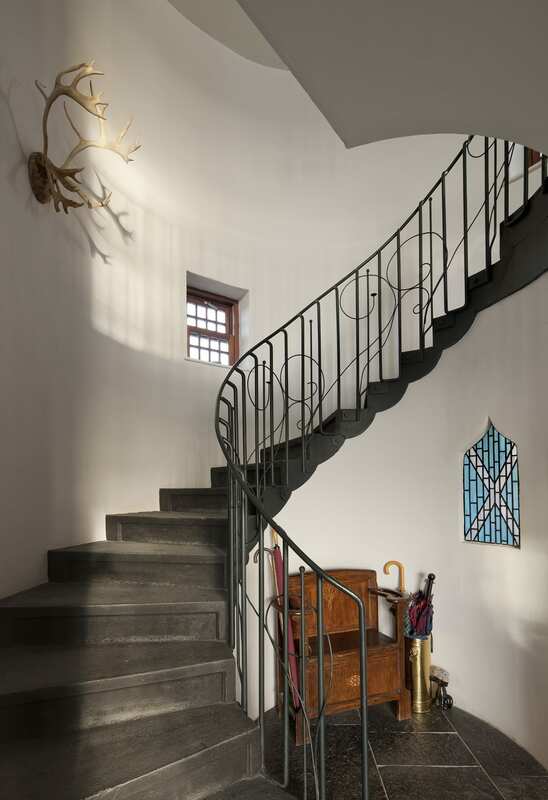 The accommodation is conveniently arranged around a bright and welcoming hall and bespoke circular staircase on the ground floor and large galley landing on the first floor. 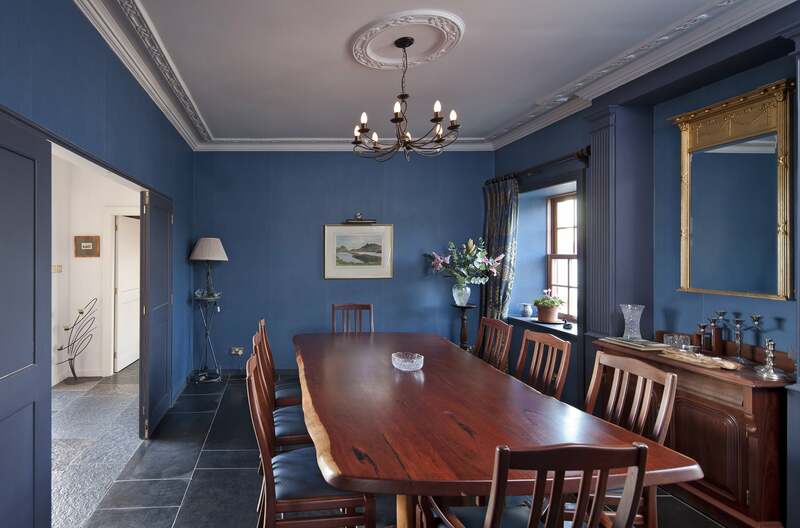 There is an excellent balance of reception rooms and bedrooms, which make it ideal for family life and entertaining. 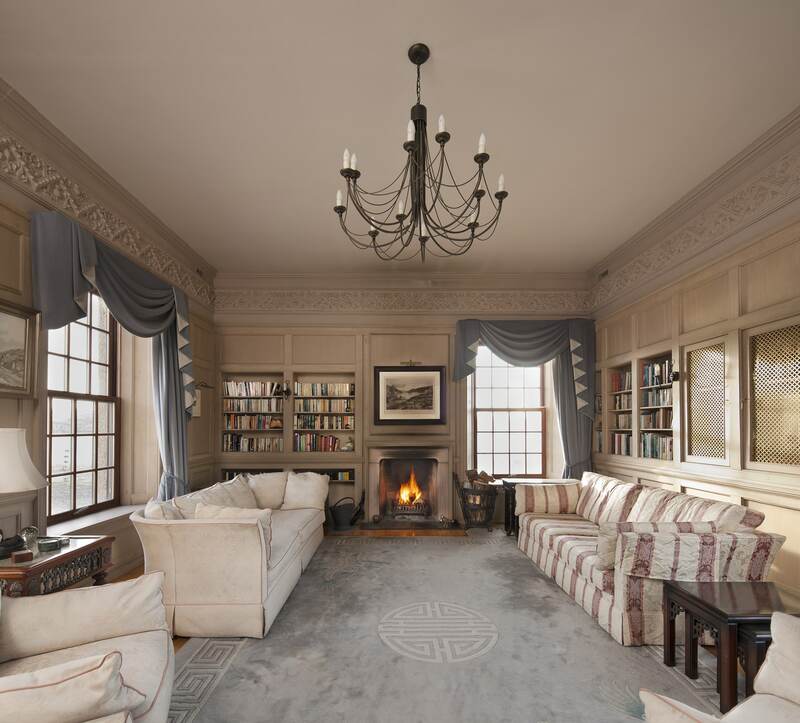 In addition to the main dwelling is The Boathouse which has been lovingly restored and renovated to an exceptional standard while still retaining many of its original features. 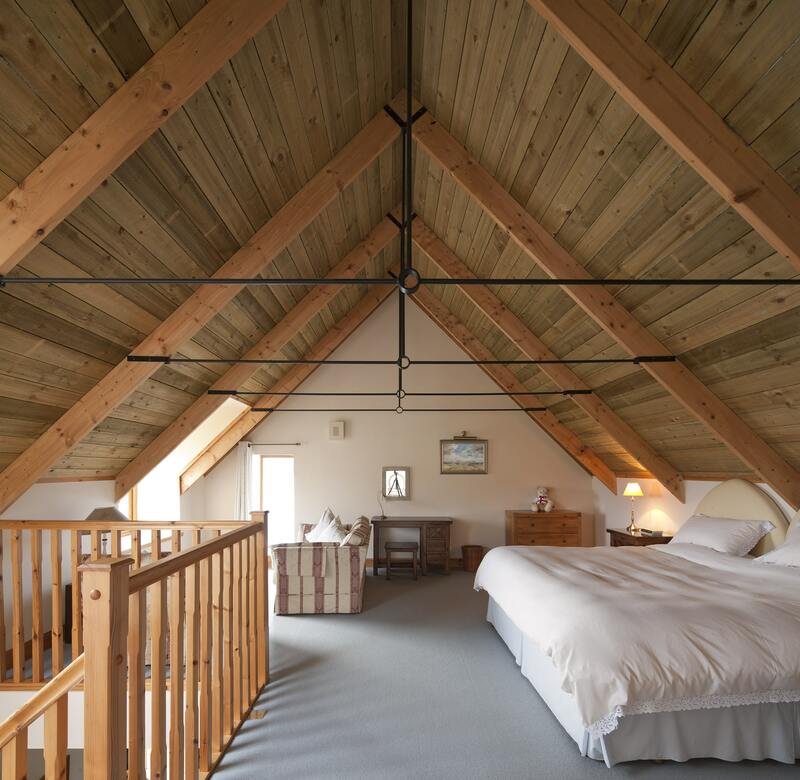 Currently run as an award winning five star self catering cottage with an annual turnover of over £20,000. 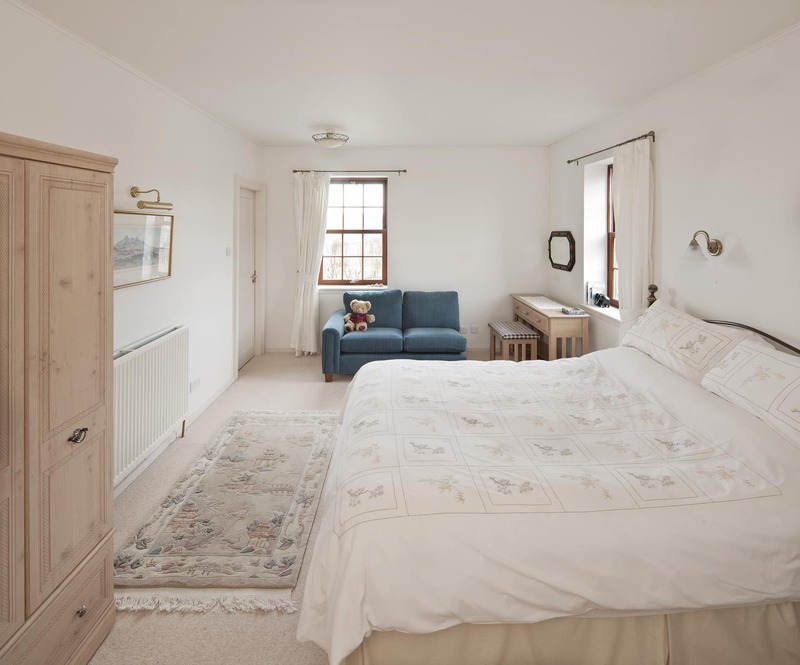 The accommodation within comprises comfortable sitting room with wood burning stove, modern fitted kitchen, utility room with wc. 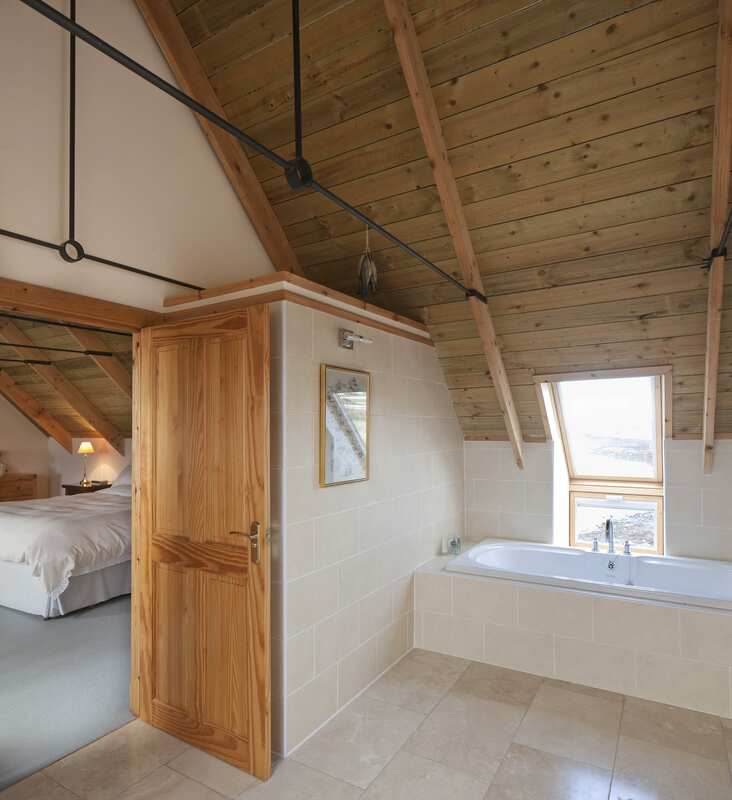 Upstairs has been converted into an impressive bedroom with beautiful en suite bathroom. There is underfloor heating throughout. A property this special, truly merits the phrase “Viewing Essential”. 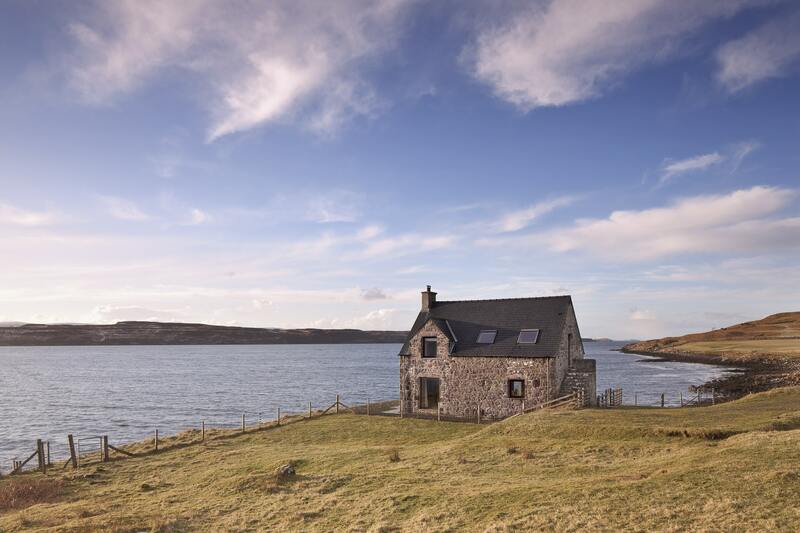 OFFERS OVER £535,000 ARE INVITED FOR CRIONACH. 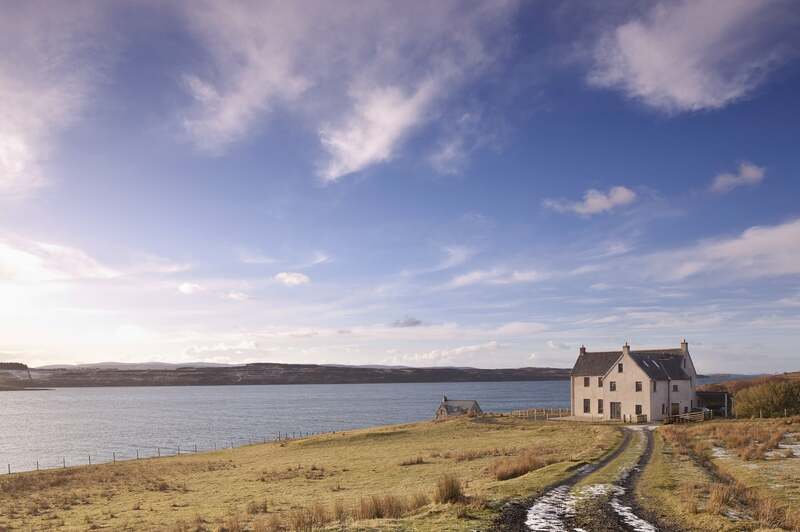 OFFERS OVER £735,000 ARE INVITED FOR CRIONACH AND THE BOATHOUSE. A bright and spacious entrance hallway with one fully glazed wall with access onto patio area outside to enjoy the breathtaking views. Caithness slate flooring. Large storage cupboards,one offering scope for a wine cellar. Wet room with white WC, wash hand basin and shower. Triple aspect currently used as an office. French doors leading out to patio, fireplace, Caithness slate flooring. Modern and well equipped kitchen with breakfast bar. Extensive range of base and wall units, cooking range with six ring gas hob and electric double oven, granite worktops and Caithness slate flooring. Archway leading through to dining room. 19’00 x 11’3 (5.80m x 3.50m) at max. 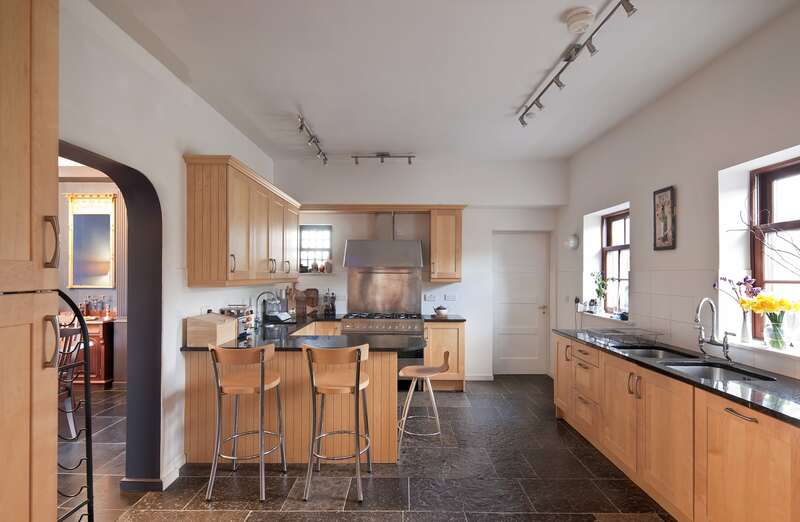 Large dining room with open archway through to kitchen. Caithness slate flooring. Impressive and bright triple aspect room that has been designed so that the stunning scenery can be enjoyed from every window. Open fireplace and hardwood flooring. Large utility area with space for washing machine & drier. 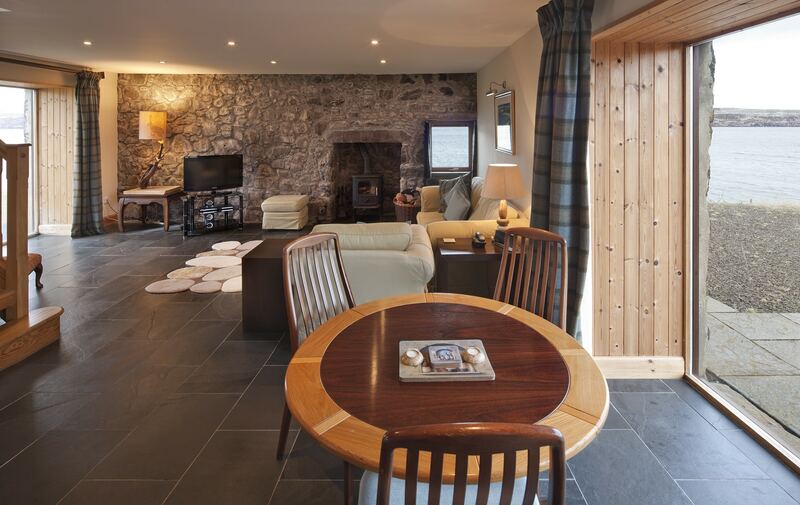 Caithness slate flooring. Boiler housing. Access out to car port via oak external door. Open landing with stunning views. Access to all bedrooms and attic. Caithness slate flooring. Triple aspect double bedroom with sea views. Hardwood flooring. White four piece suite with shower over bath. Fully tiled with Caithness slate flooring. Dual aspect double room with sea views. Carpeted. White three piece shower room. Tiled and slate flooring. Double room with sea views. Carpeted. White three piece shower room. Tiled. 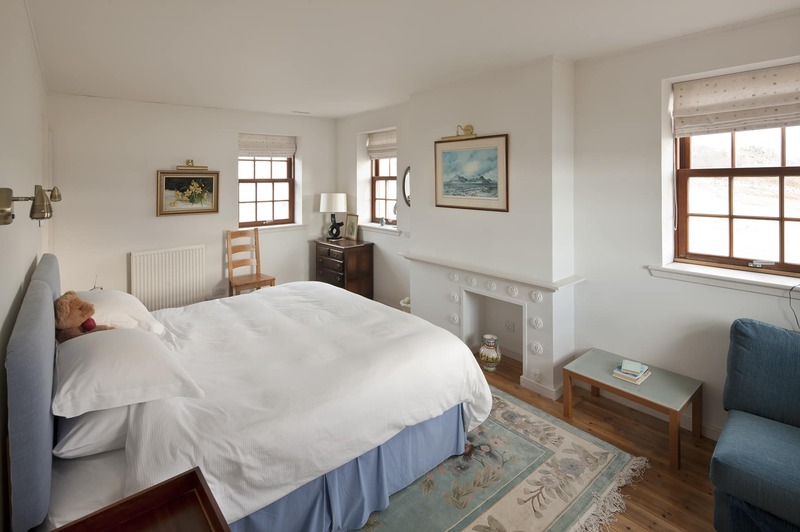 Triple aspect master bedroom with sea views. Hardwood flooring. Large built in storage cupboard. White four piece suite with shower. Tiled, Caithness slate shower tray. Extensive space currently used for storage of games equipment but also has the potential to be converted to provide additional rooms. 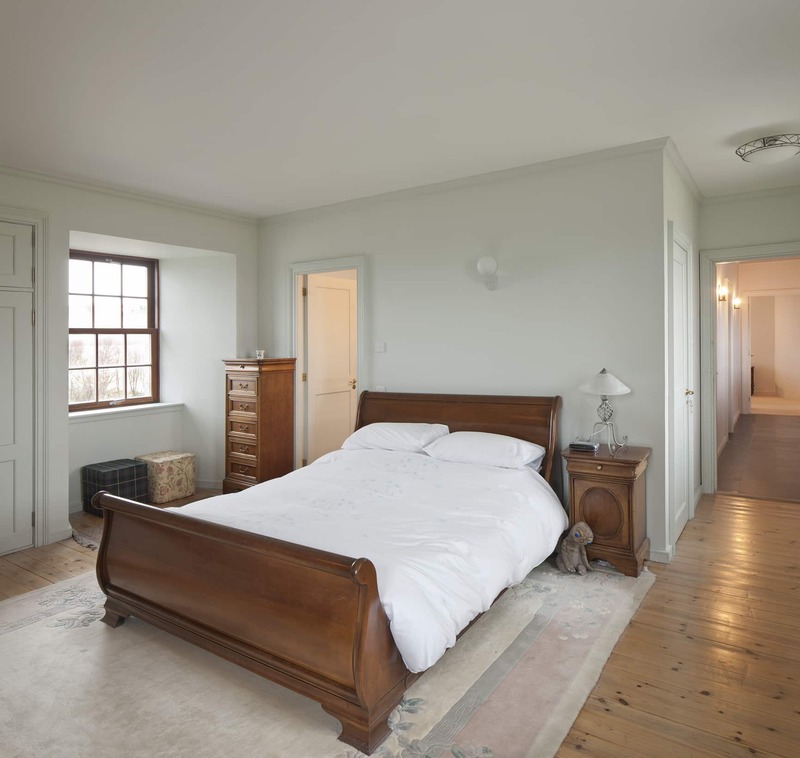 Triple aspect room full of character and charm. 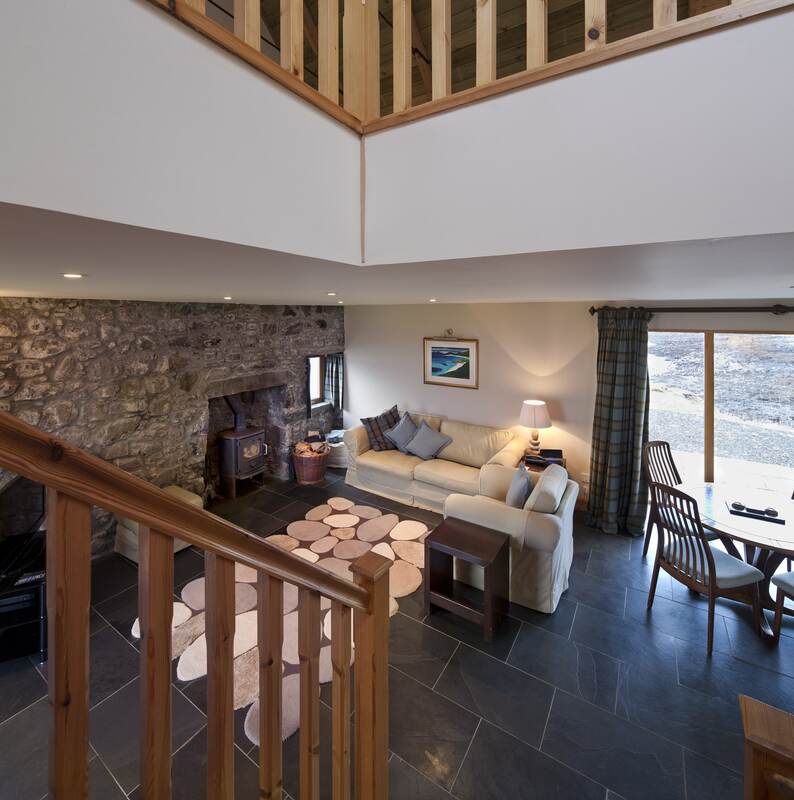 Exposed stone walls, wood burning stove and slate flooring. Modern kitchen with a good range of base and wall units. White WC with space for washing machine. Dual aspect large double bedroom with exposed woodwork. Impressive bathroom with white four piece suite and separate shower. 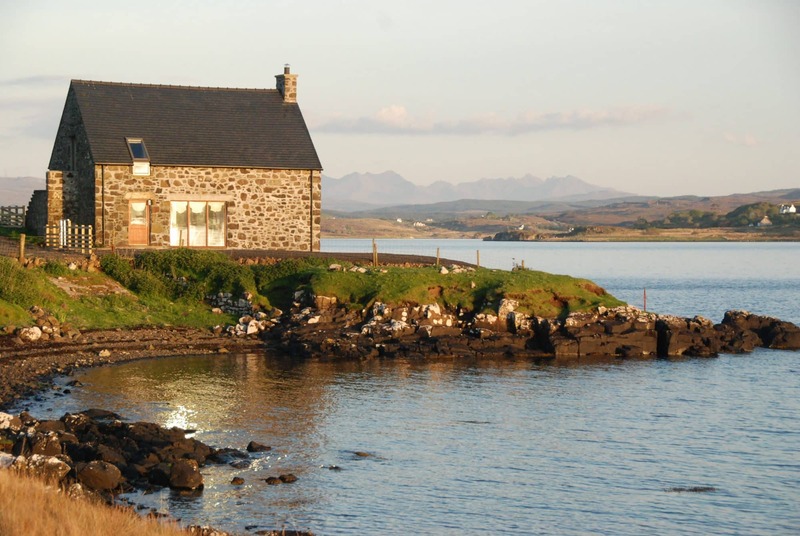 Crionach is set in extensive garden grounds approx 2.5 acres that extend to the shore. The garden grounds are mainly laid to grass. From Portree take the A87 towards Uig and follow this road until you reach the turn off for Kingsburgh on your left hand side and take this turning. Follow the single track road till you reach a fork in the road and veer right, shortly after this turning you will see a sign on your left hand side for Crionach & the Boathouse. Ground Floor: Entrance Hall/Conservatory, Morning Room, Drawing Room, Dining Room, Kitchen, Utility Room and Two Cloakrooms. First Floor: Landing, Four en suite Double Bedrooms. 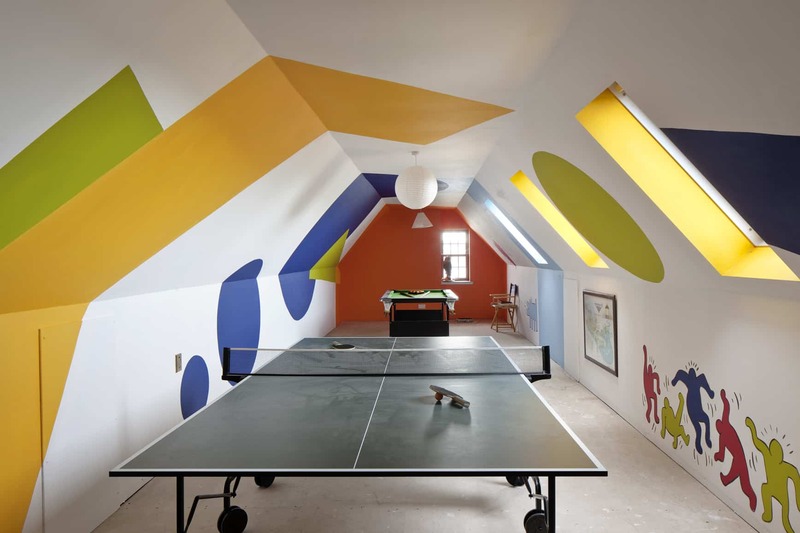 Second Floor: Attic Space. 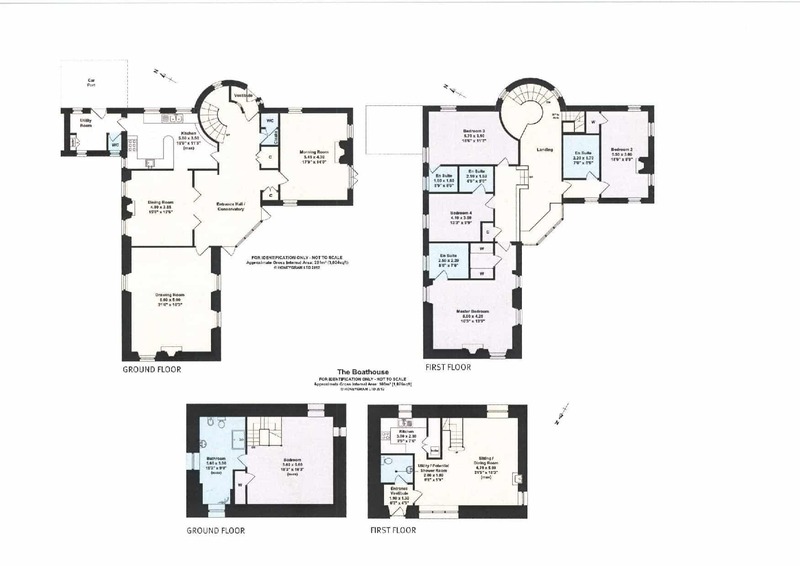 Ground Floor: Entrance Vestibule, Cloakroom, Open Plan Living Area, Kitchen. Mains water and electricity, drainage to septic tank. 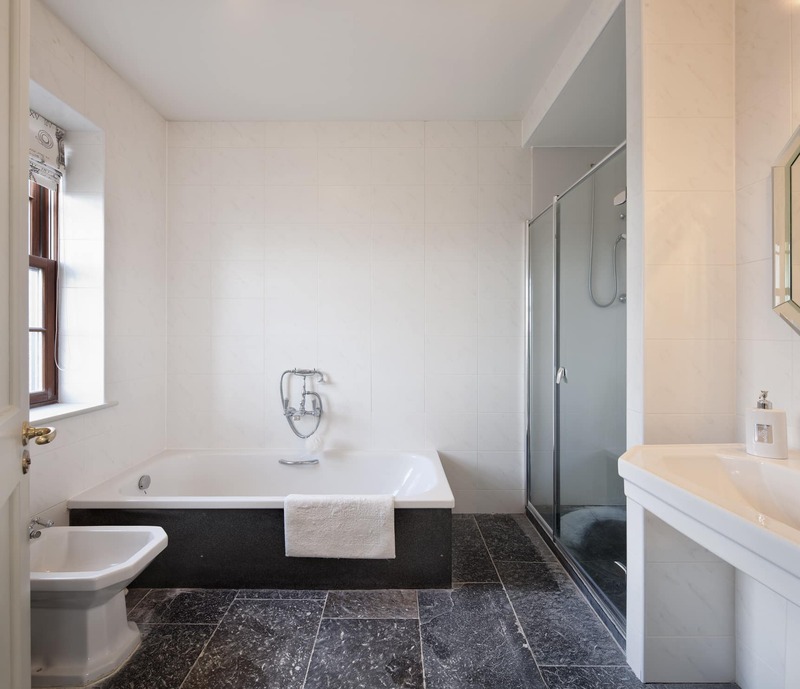 LPG underfloor central heating system supplying the ground floor and bathrooms, radiators in all bedrooms. 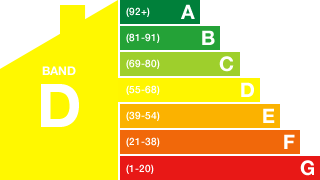 The property also benefits from a central vacuum system. 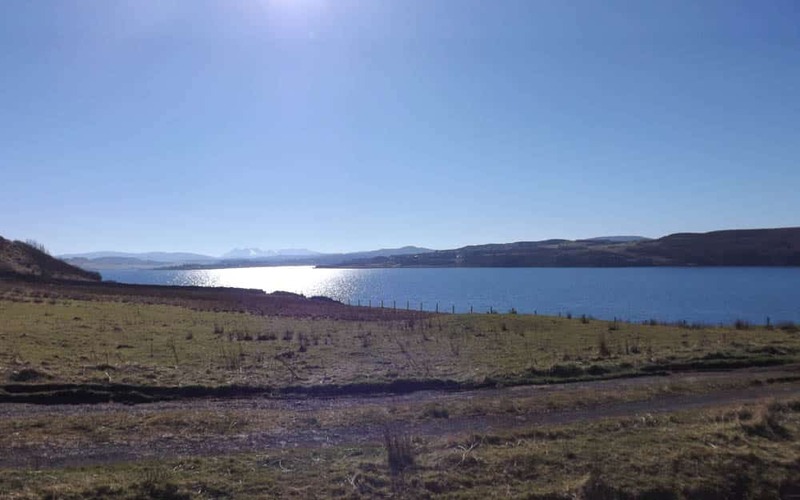 Offers over £735000 are invited and such offers should be submitted in proper Scottish legal terms to The Isle of Skye Estate Agency.